The ability to control one’s impulses in favor of evaluating the situation, evaluating alternative actions, making plans, and avoiding engaging in actions that we may regret or may be harmful to ourselves or to others is an important aspect of being human. The capacity of self-control is believed to be associated with the frontal part of the brain, especially the area known as the prefrontal cortex. While many people would admit to having issues with certain aspects of self-control, some individuals demonstrate serious difficulties with certain aspects of self-control that result in them potentially harming themselves, harming others, or violating the rights of other people. When this lack of self-control is pathological, the individual is diagnosed with some form of an impulse control issue. Oppositional defiant disorder is most often diagnosed in children and presents as a person who is argumentative, defiant, and reactive a good portion of the time. Intermittent explosive disorder presents as someone who fails to control either verbally aggressive or physically aggressive impulses, and habitually expresses aggressive outbursts of behavior. Conduct disorder is a disorder where the individual demonstrates aggression to animals or people, destroys property, lies or steals, and/or habitually engages in serious violations of rules and regulations. This disorder is typically diagnosed in individuals younger than 18 years of age; typically, individuals over the age of 18 who present with these symptoms would be diagnosed with antisocial personality disorder. Pyromania is an obsession with fire. It manifests as difficulty controlling impulses to start fires, and repeated acts of setting fires. Kleptomania reflects recurrent impulses to steal that are not well controlled by the person (resulting in recurrent thefts). The American Psychiatric Association also allows for other unspecified disorders, and this general category might include things like shopping, sexual behaviors, etc. The above descriptions are not meant to be comprehensive or to allow one to diagnose these disorders but instead are designed as a quick description of the disorders in this category. It should also be noted that individuals with a history of traumatic brain injury will often present with impulsive behaviors that may mimic the above disorders. Typically, someone who has experienced a traumatic brain injury would be diagnosed with a cognitive disorder based on the brain injury and not with a psychological/psychiatric diagnosis. These disorders present as issues that are primarily driven by a failure to control impulsive behaviors, and they are disruptive or violate the rights of others. The American Psychiatric Association previously listed pathological gambling and trichotillomania (e.g., compulsive hair pulling) as disorders of impulse control; however, pathological gambling is now listed as gambling disorder. It is included in the section of disorders related to addiction. Trichotillomania is listed in the obsessive-compulsive and related disorder classification. Of course, both of these categories consist of disorders that include impulse control issues among their many features. The impulse surfaces, and the individual becomes aware of it. There is an increase in psychological tension as a result of the impulse. The person quickly acts on the impulse to decrease the tension, without much thought regarding the consequences. As a result of the above action, the tension decreases, and there is a sense of relief. For some people, there may be a following sense of remorse or guilt associated with the behavior. The description of the stages of completing an urge for someone with an impulse control disorder is remarkably similar to the process that occurs when someone with a substance use disorder engages in the addictive behavior. Indeed, there is a large body of research that indicates that there is a link between addiction, poor planning abilities, and poor impulse control in many (but not all) individuals. The American Psychiatric Association reports that in all cases of disorders where impulse control is the primary feature, there is a high potential for the comorbidity of substance abuse issues. Of course, this would be expected given the nature of an individual’s inability to consistently control impulsive behaviors. For an individual who experiences difficulty with self-control and stress, the use of substances represents a quick and efficient method of reducing the immediate effects of stress or discomfort. Since these individuals experience difficulty weighing the long-term risks of their behavior, they would be expected to be particularly prone to substance abuse and/or addiction. Disorders such as pyromania and kleptomania are known to have high comorbidities with alcohol abuse and tobacco abuse, whereas conduct disorder, oppositional defiant disorder, and intermittent explosive disorder have significant comorbidities with alcohol and illicit drug abuse. The therapist will conduct a functional analysis to identify the entire process that occurs when the individual lacks control over impulsive behavior and when substances are used. Most often, impulse control disorders are not global; that is, individuals have difficulties controlling themselves when certain emotions are aroused or under certain situations. The idea is to identify when the person can control impulses and when the person cannot. Then, the client and therapist target difficult issues. The functional assessment also includes a psychoeducational component to help the individual understand what is actually happening, to explain the procedure for inducing change, and to prepare the client for change. 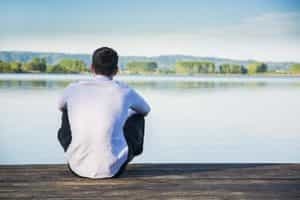 Because the urge to perform the impulsive behavior creates tension and stress, and substance use often occurs to relieve stress, it is important that the client learns to deal with psychological tension by stress reduction and relaxation techniques. These typically include such things as muscle relaxation, breathing techniques, and so forth. The therapist works with the client, so the client is able to apply these strategies very rapidly when an urge causes tension. The team also works together to develop visualization skills where the client can imagine the impulse provoking stressful situations and apply stress reduction techniques. These applications can occur both as forms of imagery and in the real world when the client feels tension or stress. The next step is to begin to learn to identify automatic thoughts that are irrational and contribute to the issues with impulse control and substance abuse. These thoughts are typically centered on general aspects of the person’s attitudes toward the sense of self, other people and the world, and the future. This is in part accomplished from information gained in the functional analysis and from information as it becomes available. The therapist works with the client to identify these automatic thoughts and helps the client to change them to more positive, realistic, and functional thoughts. The client may keep a record of thoughts and impulses, and go over this with the therapist, or the two may work together through visualization exercises to identify these automatic thoughts. This can be an ongoing part of the treatment as new information comes to light. As the team works together to identify thoughts that lead to impulsive behavior, they also begin to work together to identify what events or emotional states trigger these thoughts and what the consequences of the behavior are (particularly how the client rationalizes actions in order to maintain dysfunctional beliefs). This allows the client to understand the dynamics of the impulsive behavior and to address and even change both the triggers (and one’s attitude towards the triggers) and the consequences of the behavior. The therapist can apply a number of different approaches during this aspect of treatment. One such approach is known as habit reversal, where the client learns to identify the action as it is happening (the impulse) and replace it with a more positive action. In other instances, clients may need to learn to develop to delay gratification (satisfaction) that is associated with fulfilling impulses or to associate it with more positive actions. Still others may need to use a “stop” technique that mentally allows them to yell stop when they feel the urge to act and then use the skills learned in therapy to think through the situation. Within the process, the therapist also helps the client to identify emotions, understand them, and avoid becoming overwhelmed by them. Breaking down the factors that occur before and after feeling an emotion, as well as the rationalizations one uses to justify actions, can help the client to better understand how emotions contribute to behavior and then address these issues. The therapist and client work on specific problem-solving coping skills that address the individual’s issues with impulse control and substance abuse. These specific issues will vary depending on the particular impulse control problem the person is having and how substance use is linked to the overall presentation. The therapist and client also work on long-term strategies, such as preventing relapse in the future by developing plans of action, strengthening learned skills, and using support groups to keep the client engaged in aftercare. Other options for the treatment of comorbid substance abuse and impulse control disorder include addiction medication management taken together with the therapy. Most often, the medications used will be antidepressants, such as selective serotonin reuptake inhibitors, but other medications may also be used depending on the client. In some situations, clients may need medical detox if they are experiencing addiction to substances that carry the potential for significant physical withdrawal symptoms, such as alcohol, opioids, and benzodiazepines. What if the Person Does Not Want to Be Treated? It should also be noted that very often individuals with impulse control disorders and comorbid substance use disorders do not voluntarily enter treatment. Often, their behavior has resulted in some legal issue, relationship issue, issue at work, or other consequence that results in them being forced into treatment against their will. In these cases, therapists can apply the principles of Motivational Interviewing (MI) to ascertain at what stage in the process of change the person is currently and then apply motivational techniques to get the person to see the need for change. This, of course, would occur in the initial stages of treatment and begin with the functional analysis. MI is designed specifically for this purpose.